Last week, Social Security issued a message advising its lawyers and staff that due to an apparent gross error it had failed to notify claimants and beneficiaries of certain adverse decisions, such as denial and cessation of disability benefits notice letters. For a copy of the "Emergency Message" click here. According to the message, it looks as if the error in sending the notices happened between September 2016 and March 2017. As stated in a previous post, a claimant generally has 60 days to file an appeal when he or she receives a letter from social security stating that benefits have been denied. If the claimant misses the 60 day appeal period it can only file a late appeal for good cause. Cessation of benefits letters telling the beneficiary that he or she was no longer disabled. Denial of initial applications filed by disability claimants. Letters informing a beneficiary that there has been an over payment of benefits. Letters informing a claimant that there has been a change on the onset date of disability. Due to the failure to send these notices many beneficiaries have no idea that their benefits have been stopped or denied. Moreover, they have no idea that they have a right to appeal these adverse decisions. In addition, the Emergency Message tells the SSA staff: "If the beneficiary alleges he or she did not receive a notice during the relevant period, technicians should take the allegations seriously, carefully review the case and provide due process as required by existing regulations and agency policy." Given the wording on the message, if any claimant did not receive notice of a denial or cessation of benefits, he or she would clearly have a strong argument of "good cause" to file a late appeal. Unfortunately, the Emergency Message does not state whether or not the claimant and beneficiaries who didn't receive notices will receive a belated letter informing them of their right to appeal. At RamosLaw we believe that sending new notices would be the right thing for Commissioner Berryhill to do. We will keep our readers informed if we receive any new information regarding this issue. 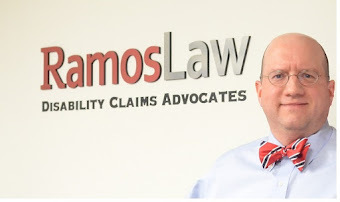 At RamosLaw, we have seen a lot of problems regarding the SSA's failure to provide claimants with notice letters. We weren't sure if this was a Connecticut and Massachusetts problem or whether this was an agency-wide error. We are glad that at least the agency is acknowledging that it has widespread problems with regards to the issuance of notices.